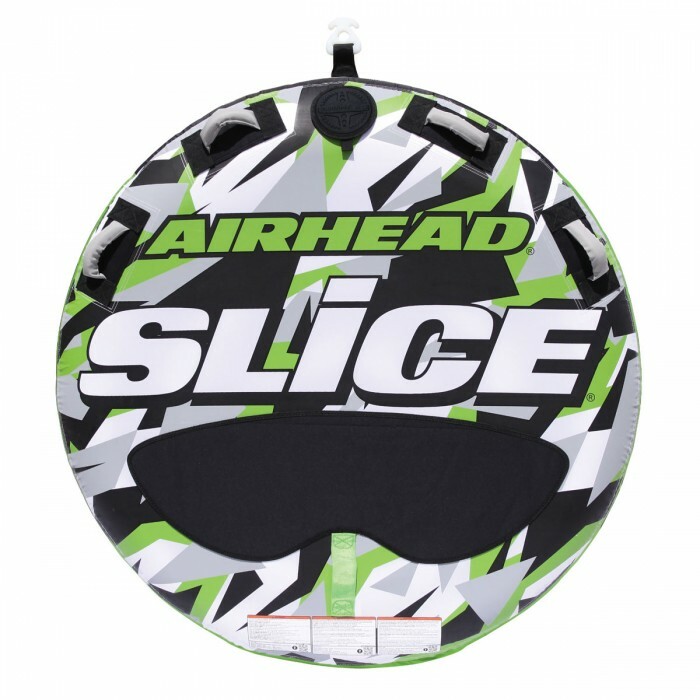 Airhead Slice - Low Price!! 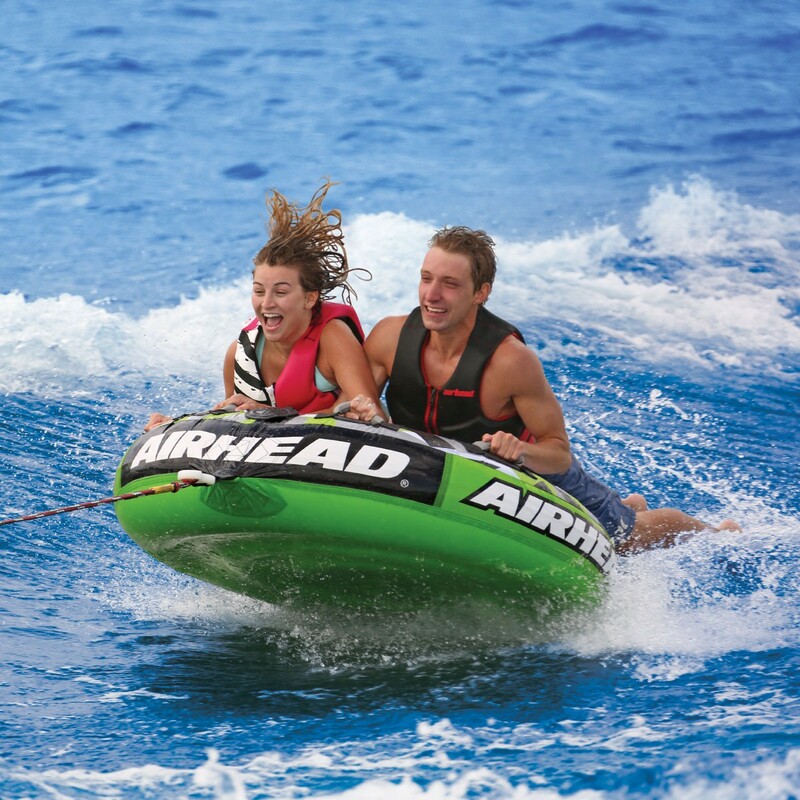 You’ll really slice up the water with this 58” diameter low profile towable! Peak performance is guaranteed with Slice’s topside neoprene panel, 4 nylon-wrapped handles and neoprene knuckle guards, an Airhead exclusive. The durable 30-gauge virgin PVC bladder is fully encased by a double-stitched nylon cover with a reinforced internal tow harness. Slice is equipped with a super-convenient Kwik-Connect for easy hook-ups and a Boston Valve for fast inflating and deflating. It’s easy to climb onto Slice from the water; it’s tapered to only 6 in. high at the back. Designed for 1 or 2 riders.